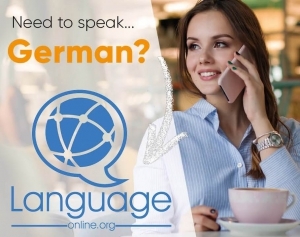 Welcome to language-easy.org! Well, this article is about German conjunctional clauses, a special type of German dependent sentence. Of course, we will try to explain the characteristics and special feature of these clause. Additionally we will have a look at the conjunctions that introduce these dependent sentences. By the way, there is an article on Wikipedia that can give you some additional information about German conjunctional clauses, in case you’d like to know more about this topic. And now, let’s not loose too much time and come straight to the first point of this article and clear up what German conjunctional clauses actually are. What are German Conjunctional Clauses? Was sind Konjunktivsätze im Deutschen? Let’s start right ahead and give a short description of this type of German dependent sentence. A German conjunctional clause is a dependent sentence that is always initiated by a conjunction. Of course, all of you know that conjunctions connect the main clause and the dependent clause. So, in the following table, you can see an overview about the most important conjunctions used in the German language. Well, as we know the introducing vocabulary of German conjunctional clauses, we should dedicate some attention to the construction of this dependent sentence. How to Build a German Conjunctional Clause?